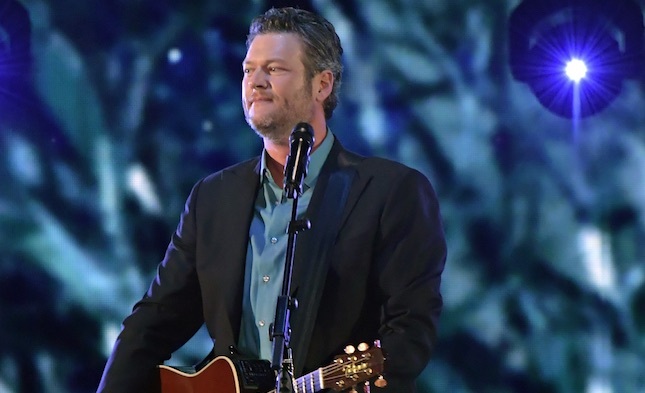 Country star Blake Shelton totally owned the 2017 People’s Choice Awards! Not only did he win “Favorite Male Country Artist” and “Favorite Album,” but he did a stellar rendition of his single “Every Time I Hear That Song.” The song is off his 2016 album “If I’m Being Honest,” and it was definitely a hit. Also for added cuteness, girlfriend Gwen Stefani was in the audience, and she was totally into it too! The performance itself was totally understated, but totally perfect. It was just Shelton on guitar, alone on stage, and it had a seriously striking effect. Probably the best part of the whole thing was seeing everyone in the audience waving their hands in their air. It was the People’s Choice Awards after all, and it seems like the people were totally into it! So congratulations to Shelton on his TWO People’s Choice Awards. That is incredibly great news, and we’re very happy for him and everyone who voted for him. If you want to watch the full performance, check it out below!